Reiki is a gift from the universe and Reiki [natural healing system] is amazingly simple and pure. In the form of hands-on healing with Reiki 1, practitioners channel the natural, universal life force energy to receivers to let them gradually and profoundly remember their true, healthy state of being. Reiki flows effortlessly once you are attuned to it by a Reiki Master. A Reiki treatment session is relaxing, meditative and refreshing for both receivers and practitioners. By letting Reiki flow through you, you will become more and more honest to your true self and physically healthy, having more profound peace of mind. It goes well with everything you do, especially all kinds of body work, healing, creative work, and performing arts. 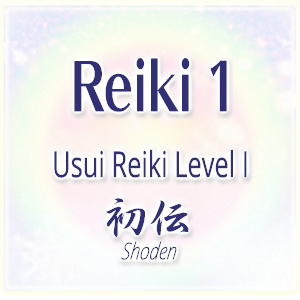 Reiki 1 is the first, gentle step of the four Reiki degrees. Right upon the first attunement, your Reiki path opens and you can immediately start applying Reiki to yourself, others, animals, plants, and also non-living things around you to gently harmonize the vibration. During this class, you’ll receive four attunements. Between the attunements, you will learn the basic/Shinka-featured hand positions, and practice self-Reiki and group Reiki. After the class, you are encouraged to do self-Reiki & Hatsurei-ho everyday for at least 21 days to fully familiarize yourself with the flow of Reiki (You may take Reiki 2 within the next 21 days and continue doing so after your Reiki 2).